Looking for best iphone picture editing apps? We have compiled a list of photo editing apps for iPhone that can make your pictures even better. Several people have the talent to click some of the most beautiful photographs while for other there are numerous photography apps that can help them to convert their pictures into master pieces. If you wish to capture the best of what the any season offers, you can install various applications on your iPhone and give the natural photographer in you a chance to showcase his talent. so convert your iPhone into the best camera and click, edit and organize your pictures. Take a look at some of the best photography apps that are available in the Apple’s app store. PicsArt photo studio is where everyone turns into a great photographer. 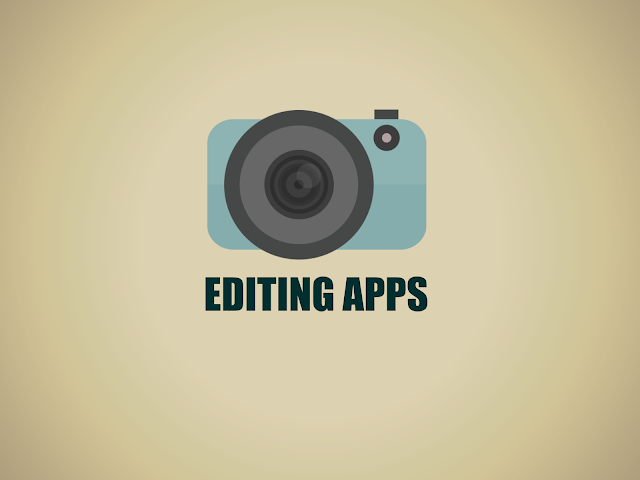 It is full featured photo editor app loaded with complex features. This app is updated at regular intervals to incorporate user’s suggestions and feedback. It is easy to operate this tool as it does not require any prior training unlike its counterparts. You can easily transform a picture clicked by your iPhone into work of art. In addition, you can add tons of effects to create an artistic image and share it with your friends or family members. ProCamera 8 offer simple and fast solutions to shoot like a professional. Capture every moment of your Christmas celebrations using this photo and editing app that is designed based on the latest technology. The sensitive and powerful interface enables you to capture amazing pictures with precise focus even at night. With ProCamera 8 you can easily capture moving objects and set ideal exposure with the swipe of your thumb to boost picture quality. Focus can also be manually controlled with this app. One of the best mobile photo app, you would like to use Snapseed every day. It can easily turn a dull looking photograph into an extraordinary work of art. You can indulge in high-quality and fun photo clicking experience. Transforming, enhancing and sharing photographs have never been so easy. So let the professional photographer in you take over and click some perfect pictures to make the Christmas celebrations memorable. You can also choose from different effects to make your images totally unique and impressive. iPhone users can easily capture and share their special moments with the world through Instagram. You can customize your images and videos and transform them into amazing artwork that can be shared with the people you care for. This app offers you the option to upload unlimited images so that you can easily share your pictures on different social media websites or send them directly to your friends. Choose Instagram over other picture apps if you wish to become a part of the increasing social media family. If you are still in love with the retro look, nothing can be better than VSCO cam. It helps you to shoot, edit and share your photographs in a premium way. It offers the right exposure, contrast and vignette to your image to define your work in a better manner. Using the state of the art technology, you can easily capture every moment in a stunning way and make a comparison between original and edited picture. So if you wish to have elegant and sharp focused pictures as the end result, choosing VSCO cam would be the right decision. Not everyone is photogenic and thus a large number of people are not able to get their pictures right. Wouldn’t it be amazing if you can use an app to get a perfect picture? Facetune can help you to perform certain corrective actions to get a flawless photograph. Without using expensive tools or without undergoing surgeries you can add artistic flair to your photographs and share them with your friends. So to get a perfect smile, smooth skin and refined facial features you can install Facetune on your iPhone. Now with grid lens you can easily create your Christmas story by capturing every moment spent with your friends or family members. This app allows you to customize the grid by adding lines. It gives you the freedom to shoot different moments on a single frame. You can easily modify the thickness of grid lines or change the colour of the border. So customize your pictures by adding lines wherever you feel they fit the best. Adobe Photoshop software offers you endless possibilities to create impressive images. You can easily transform images and add professional effects or create something new. Add graphics to your photographs or take advantage of unique features that comes along with this app. It offers you the freedom to show your creative side and play around with different effects to create a unique picture that can leave the onlookers amazed. How can we forget about Hipstamatic? Beautiful photographs can be clicked and shared with Hipstamatic. It helps you to shoot moving images along with offering complete focus. It is a great app as it allows you to create fun and interesting images. So capture the real fun of the festive celebrations and create some amazing memories with the help of Hipstamatic. So, gear up your iPhone to click some amazingly unique photographs that can work as a souvenir and remind you about all the fun that you had during Christmas. Choose one or more than one apps and convert your iPhone into the best camera that you will ever have. You can never have enough photographs with your loved ones. So keep clicking and Merry Christmas!! John Pereless writes for Best Web Experts covering the recent trends from all things relating to web services and mobile apps.